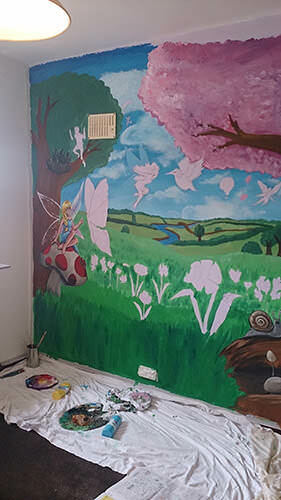 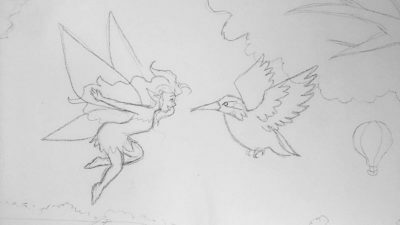 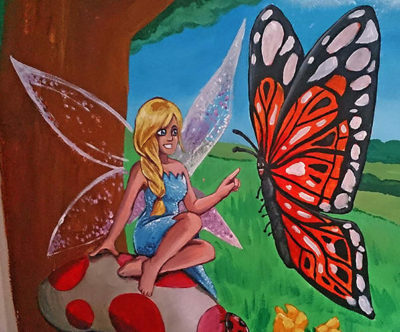 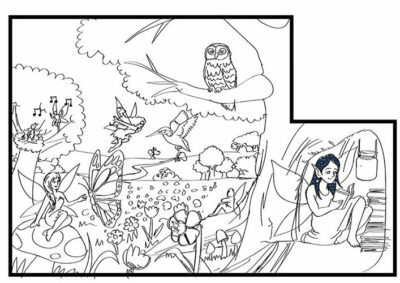 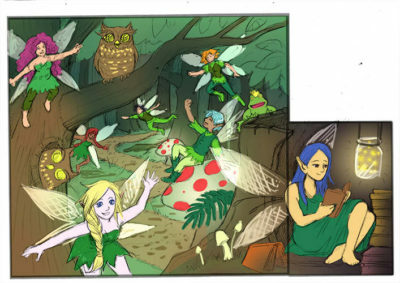 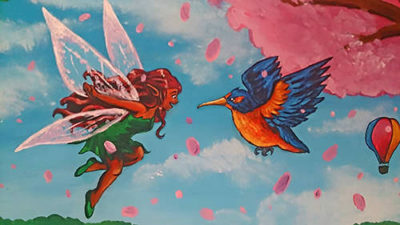 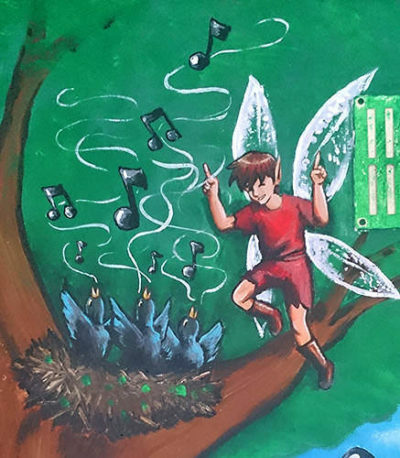 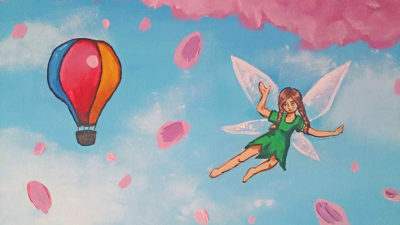 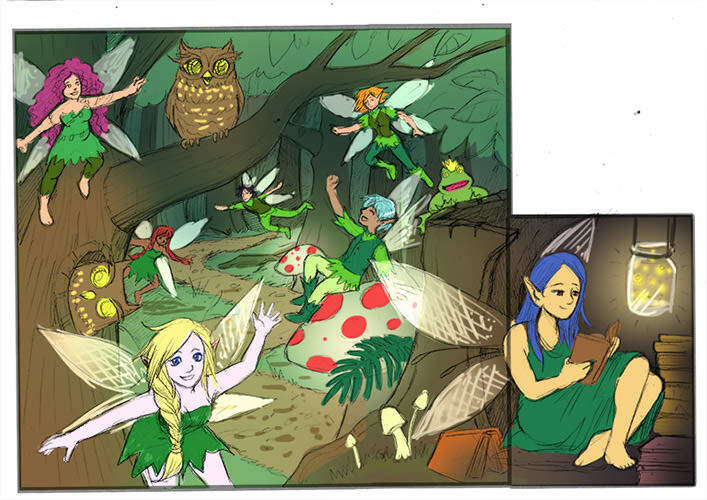 Fairy woodland mural for a children's bedroom. 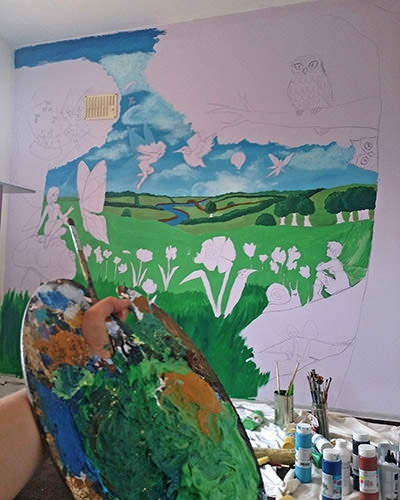 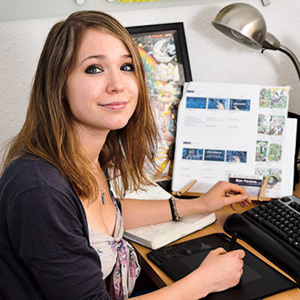 | Mair Perkins Ltd.
Matt and Kirsty from Kilburn in Derbyshire hired me in early 2012 to paint a teddy bear picnic mural for their nursery in preparation for when their daughter would be born. 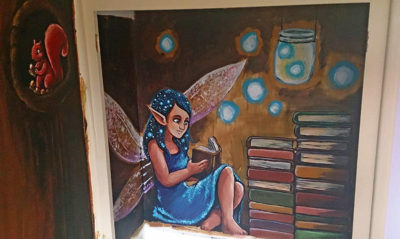 She's now 3 years old and moving into a bigger bedroom with a reading nook so I was commissioned to paint her new room. 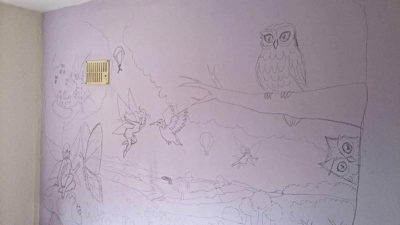 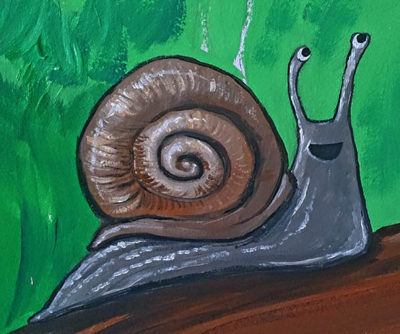 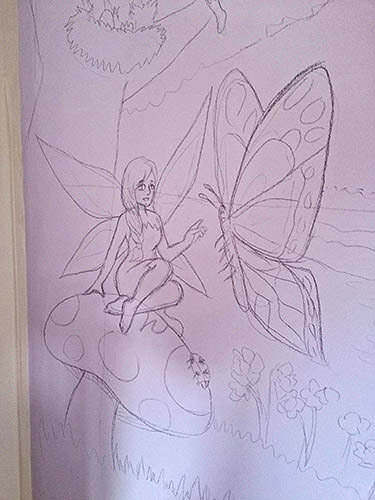 Their daughter is a big fan of fairies, owls, ladybirds and other woodland critters. 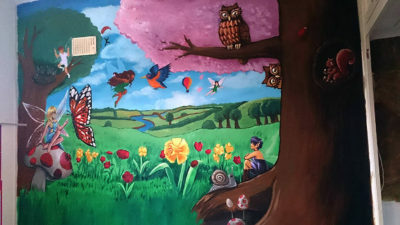 I spent about 20 hours creating this mural. 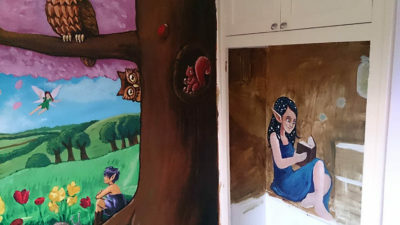 From concept design to painting it on the wall. 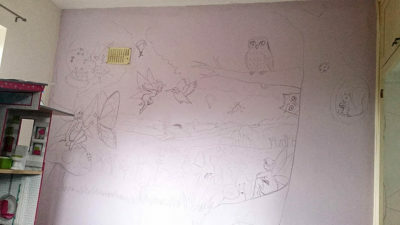 The project was spread out over 3 months to fit in around the family's and my schedule. 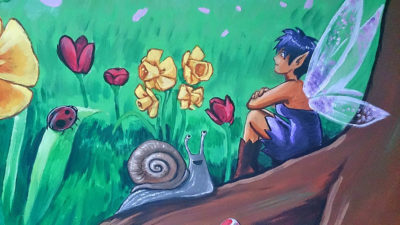 Second mural concept. 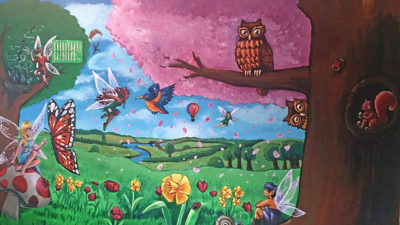 The client was happy with this design. 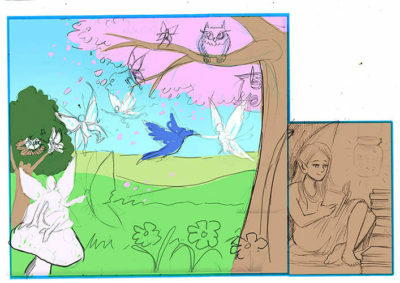 A detailed drawing of the mural design plan. 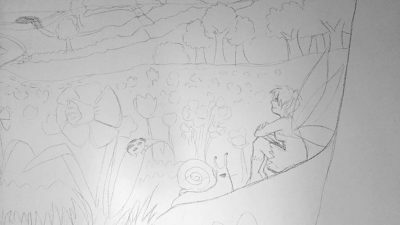 I didn't plan the colours on paper as I had an idea of what they should be in my head. 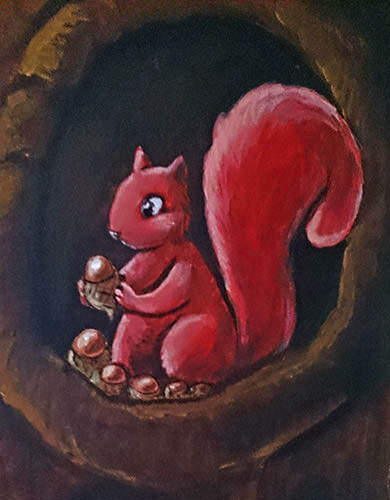 I wanted to leave colour choices open as the painting developed. 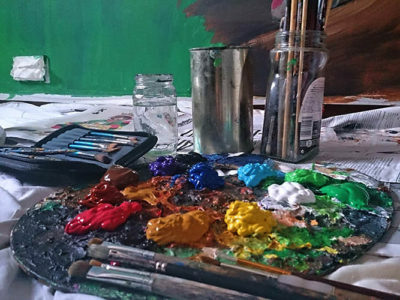 Sometimes spontaneity is best in creative projects. 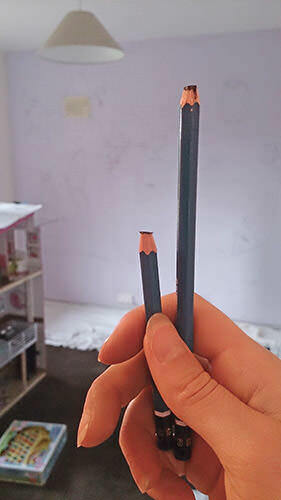 I wore down my pencils quite a few times while sketching out the mural. 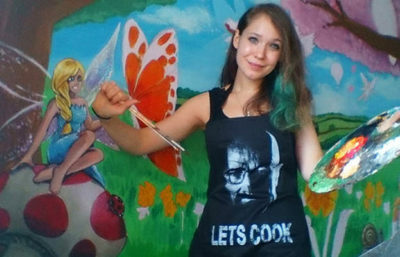 I paint best with a Breaking Bad apron! 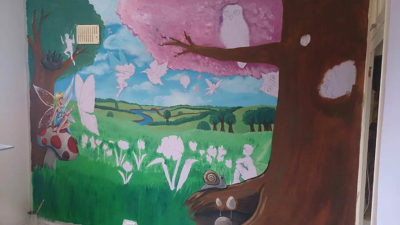 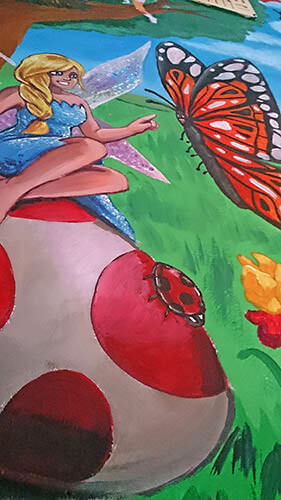 The reading nook part of the mural with a fairy reading by the light of fireflies.